Projects, and the ability to deliver them on-time and on-budget, represent a significant investment for an organisation. Because of the critical nature of effective project management, more attention needs to be paid to how their value impacts the overall business strategy. 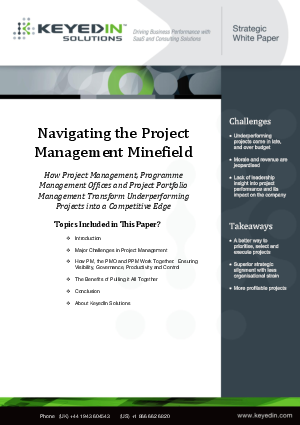 This white paper outlines the project pitfalls that cost companies invaluable time and money, and covers the project management roles that can be synergised to turn projects from an organisational drain to a competitive advantage.